I started my next round of century series. 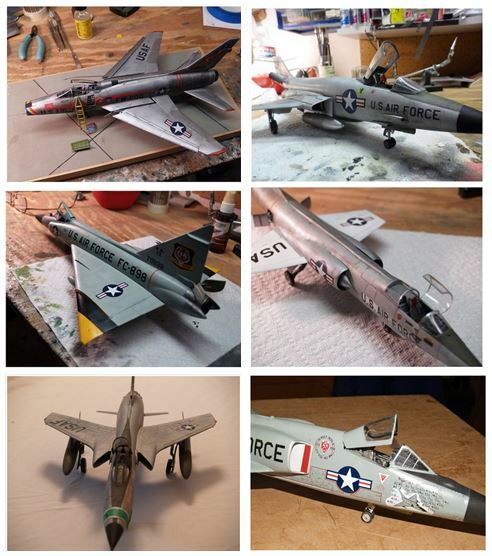 I can’t seem to get away from modeling them in 1/48 scale. This one step away from the previous run in that it is a two seater, it is NOT a Monogram kit, and it is not in US markings. 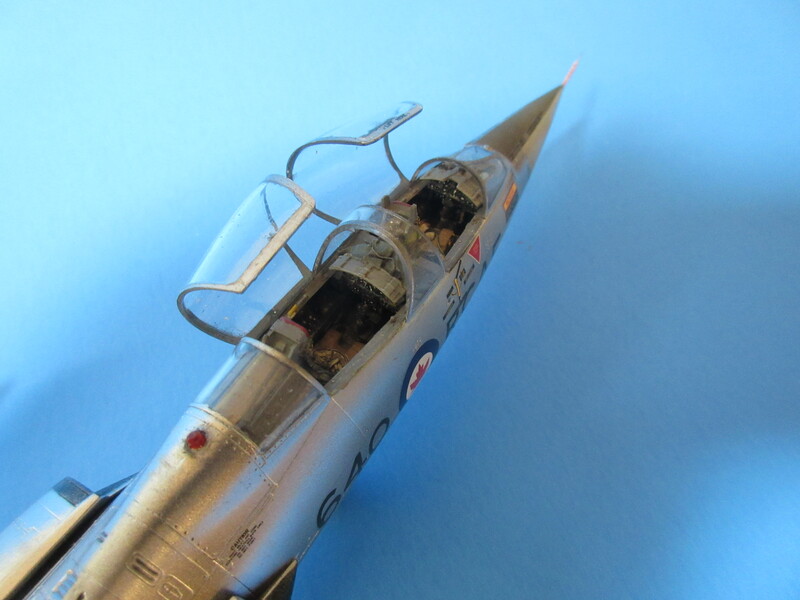 Here is a previous view from an earlier post, all Monogram, all single seat 1/48 scale. 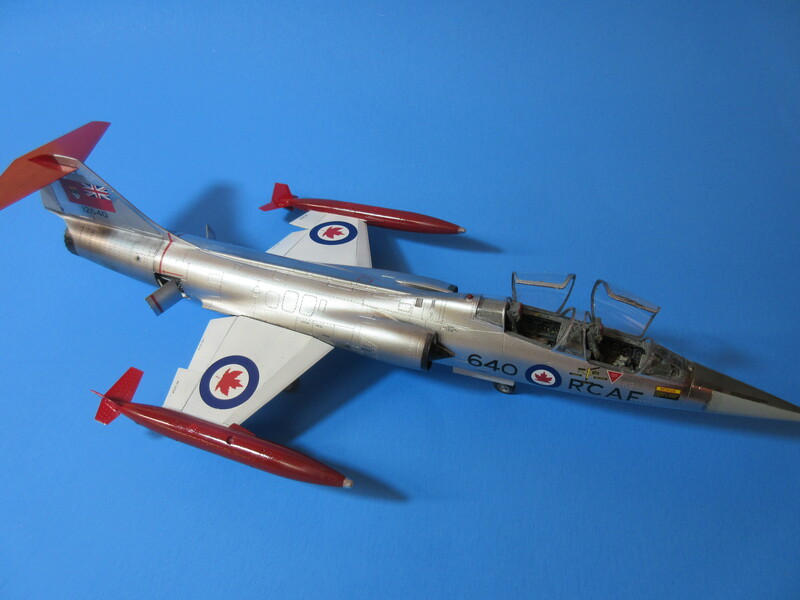 For this one I picked a Canadian CF-104D two-seater my bride gave me for a present a few years back. 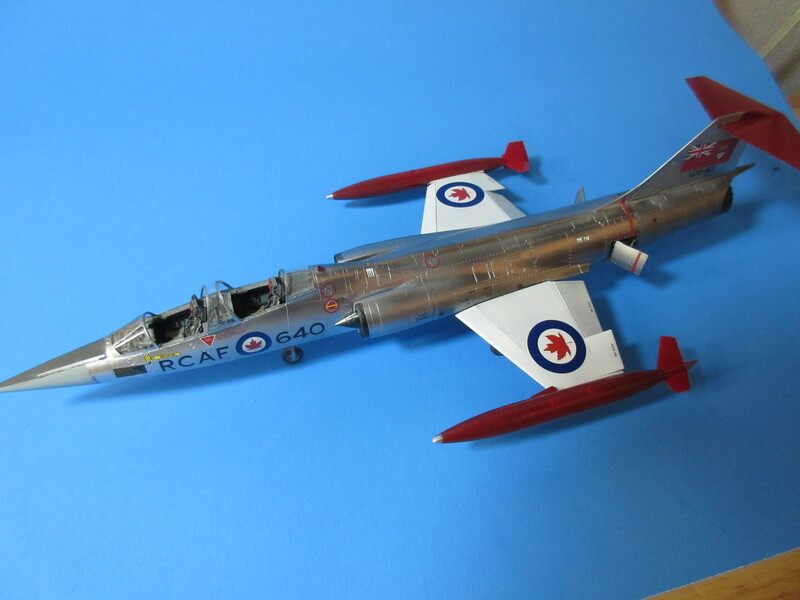 Many years ago (50ish) I built (more like slapped together) this amazing chrome plated F-104 from Hawk. It still rests in my mind as one of the turning points in my interest in military aviation; I am still in awe of this aircraft today. I built this kit in US markings but always thought the red and silver with the old maple leaf markings were something I wanted. And so here we are. 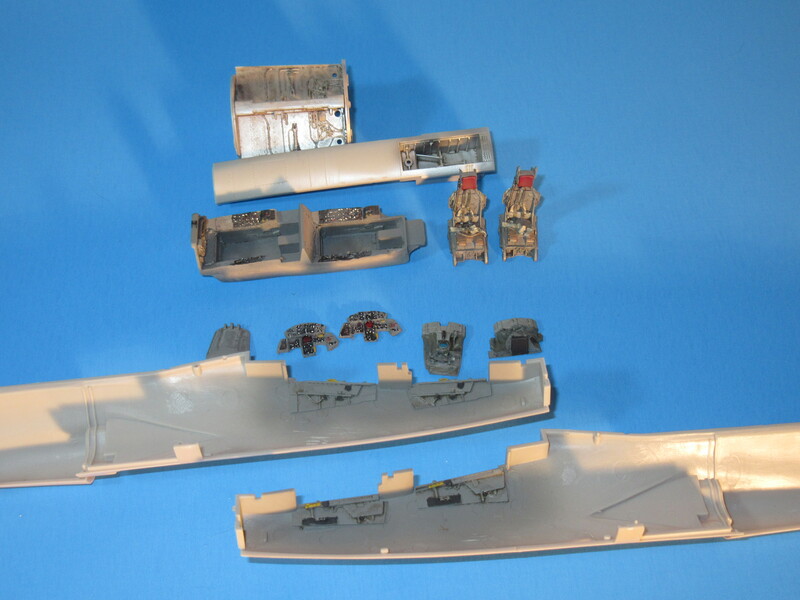 The kit wasn’t what I would consider up to Hasegawa’s quality. 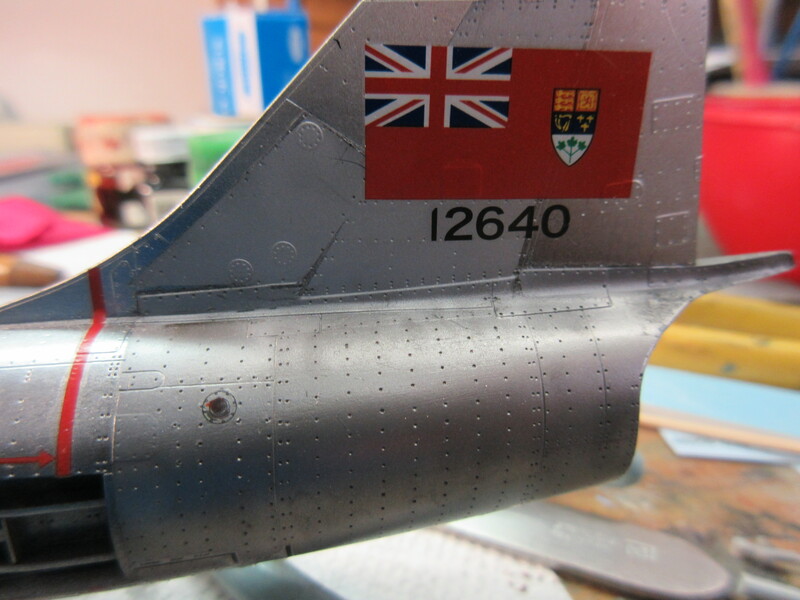 There were a number of ejection marks not only on landing gear stuff but also on things like the separate rudder and flaps that needed to be sanded. While fit was pretty good there were a few places that required a bit more effort that I am used to for a shake ‘n bake kit. No grumbling, just alerting you to the fact you’ll have to do some modeling. On the other had, the engineering is well thought out and there are separate trees for the dual seat version. I used the Combat Series TF-104G cockpit. I’m not sure if it is accurate for the Canadian version but I am in the who cares age of modeling; as long as it looks good and fits those details don’t bother me much. 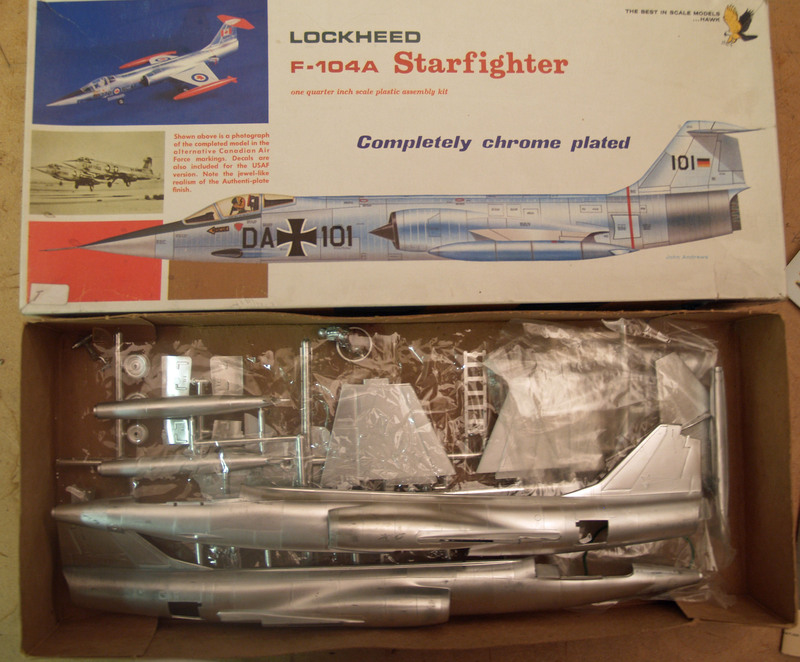 Next up are going to be a Trumpeter F-100F and a Monogram F-105G. Both done in Nam markings. I am surprised that none of my completed shelf stock have any of these markings since I was heavy into modeling during that time as a teen. Here are a couple of parting shots from the build.